Want to know how popular are your downloads really? With MonsterInsights, you can find out exactly how many times each file has been downloaded without touching a single line of code. By default, Google Analytics is great at measuring your traffic, but it doesn’t keep track of file downloads. …you NEED to know whether your audience is actually downloading them. Which downloads are the most popular? Which should you offer more of – and which ones are a waste of your time? 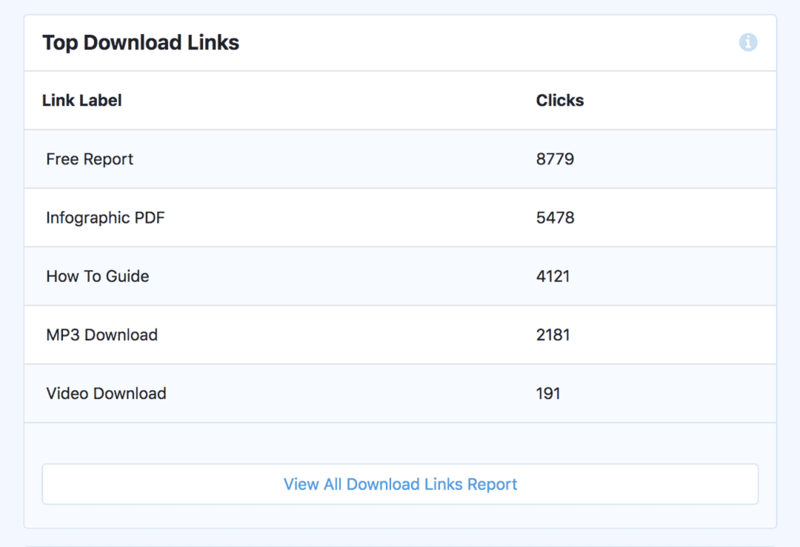 With MonsterInsights, you’ll be able to accurately track your file downloads with Google Analytics. Additionally, the downloads report is available right inside you WordPress dashboard for our Plus and Pro Plan customers. Use file download tracking to save time and money by only producing the downloads your audience actually wants.